I love Christmas and always have. I want to get that right out in the open before anyone gets the wrong idea. There are some things about the celebration of Christmas in our culture today that I’m not particularly fond of. I don’t like the three month Christmas season that begins in October and stretches through New Year’s Day. I don’t like the Black Friday sales that start before Thanksgiving is over. So if, like many of us, you are disheartened by what Christmas has turned into I would like to suggest an alternative. Let the kids have their claymation specials, let the malls have their Santas, and let the public schools do whatever it is they do. Keeping Christ in Christmas would be nice but I don’t think we can put him back into anything he is already missing from. I would like to tell you about Advent. The first Sunday of Advent is Hope and we light the Prophecy candle. The Jews anticipated the arrival of the Messiah for hundreds of years. We read prophetic scripture, such as Isaiah 7:14 and 9:6, and think about the time spent hoping for his arrival. O Come, O Come Immanuel would be an excellent hymn for this occasion. The second Sunday is Faith and we light the Bethlehem candle. Think about the faith Joseph and Mary placed in God’s promise as they made the journey to Bethlehem. One of my favorite passages of scripture in the entire Bible is Mary’s song of praise in Luke 1 known as the Magnificat. Hymns we might sing include O Come Let Us Adore Him or the somewhat more recent Away in a Manger. The third Sunday is Joy and we light the Shepherds candle. The sky was filled with the heavenly host in Luke 2 and the angels brought “good tidings of great joy” to all, beginning with a few lowly shepherds keeping their flocks near Bethlehem. Joy to the World would be most appropriate. The fourth Sunday is Peace and we light the Angels Candle. The angels proclaimed peace on the earth to the shepherds and the Prince of Peace is one of the many title given to Jesus Christ. Angels We Have Heard on High may be a challenge for a small church choir, but our command is to make a joyful noise. 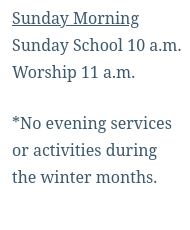 Like I said, the scripture readings and hymns selected may vary as well as what the different weeks are called by various Christians. The candles may be purple and white, with a red Christ candle in the center, or they may all be of one color. The particulars are not what is important; Celebrating God’s gift if of most importance. Maybe you’re turned off by trees, stockings and talk about Santa Claus. Maybe you loved the Christmas of a simpler time, when getting a few candies and a piece of fruit was really something special. At our house we decorate a tree and hang stockings but we also read from the scriptures and keep the weeks of Advent. We shouldn’t rely on the school play or Christmas t.v. specials to teach our children the meaning of Christmas. I have a responsibility to show Christ to my family that the paper cups at Starbucks simply do not. Advent is one way we do that. This entry was posted in editorial and tagged Advent, Advent candles, Advent Season, Advent wreat, faith, Hope, Joy, Peace. Bookmark the permalink.